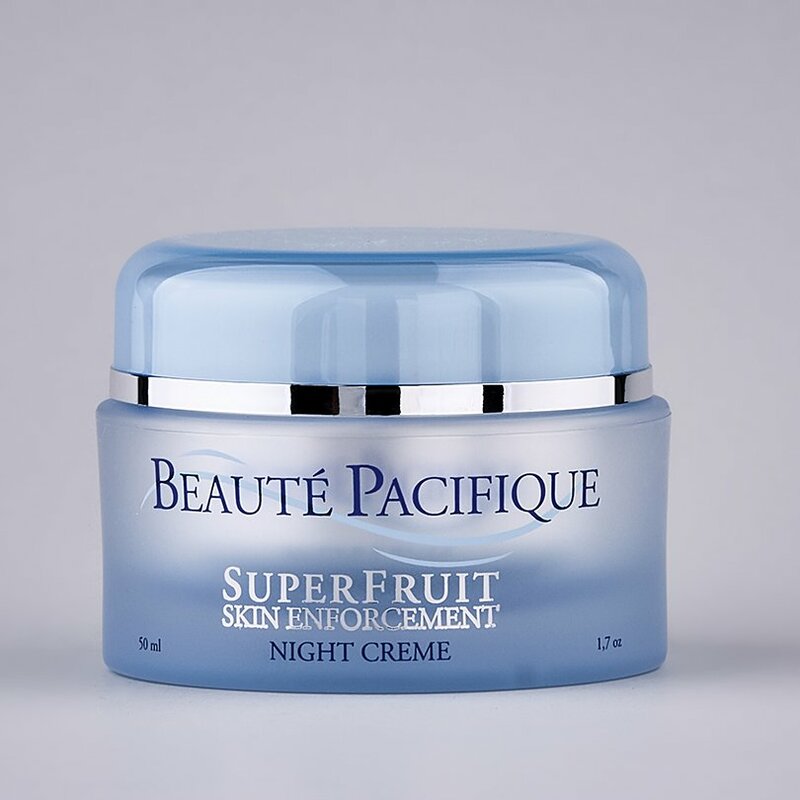 An effective night cream for the very first, fine lines. The cream increases the skin’s ability to renew itself, so it retains its resilience and youthful structure as long as possible. The positive effects are based on two nutritious and natural extracts from SuperFruits: Lingonberries and Green Tea. These SuperFruits have a high content of antioxidants that protect skin cells and promote the formation of new ones. At the same time, the skin’s moisture level increases and the appearance of blemishes, redness, and pigment flaws is reduced. The result is a protected, revitalized, and renewed skin. is an oil naturally occurring in human skin and is an important part of the lipid system. Its penetration capacity is remarkably high. Nanometer droplets of squalane function as effective “transporters” for the A Vitamins and other oil soluble active ingredients. Young and healthy skin contains a high amount of squalane but the level will decrease dramatically with age. Therefore squalane is absorbed excellently into sun damaged and aged skin. A lack of squalane within the skin can lead to premature aging, very dry skin and a loss of elasticity. Areas of constantly exposed, dry and prematurely aged skin such as on the hands, elbows, heals and knees etc become incredibly soft immediately when squalane is applied in the right formulation. 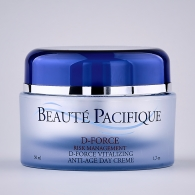 is a special blend of natural extracts that significantly reduce skin’s oil production. This also reduces serious problems with pimples and blemishes. Impurities due to hormonal imbalance can be treated especially effectively. The ingredients work by inhibiting testosterone synthesis. Testosterone is precisely what regulates the skin’s oil production. These mimetic peptides are highly active molecules, so it is necessary to encapsulate the peptides in a multi-layered capsule of liposomes, to protect against premature degradation and promote penetration. We have developed our own cocktail of three such peptides, chosen so that the combined (symbiotic) effect on the skin corresponds to: More hyaluronic acid is formed, so skin better retains youthful skin’s water-binding ability. Better normalization of skin pigmentation occurs – causing it to even out. There is growth in the generation of cells corresponding to the level of elasticity and firmness of youthful skin, and lines are prevented and reduced. is a so-called tri-peptide, bonded with the metal copper. The substance is found naturally in humans, where it is a prerequisite for many important preservation and repair processes. Unfortunately, the natural content of GHK-Cu rapidly reduces with age, so it is important to supplement the skin with GKH-Cu to delay the skin aging processes due to the lack of GHK-Cu. GHK-Cu has been shown to be a highly active collagen enhancer in the skin – in line with the A vitamins. The ingredient therefore constitutes another powerful tool for maintaining an intact collagen network, so the skin does not develop new lines and lose elasticity. In addition, the ingredient is actively redness-reducing. This brand new ingredient is derived from the stemcells of Lingeronberries, which are also a SuperFruit. The stem cell ingredient has three basic main mechanisms: Antioxidant with high content of polyphenol, antioxidant that enhances cell´s own antioxidative defense and fights UV sunlight damage before light-induced inflammatory damage occurs in the skin. Lingostem has been shown to improve skin´s moisture retention, but most remarkably: amplifies the skin´s collagen network, corresponding to the effect of vitamin A esters, thus improving the skin´s elastic properties throughout the thickness of the skin-equaling a younger skin. is a natural extract of EGCG obtained from Green Tea. The ingredient is a so-called SuperFruit. This ingredient has been shown to reduce redness caused by blemished skin extremely efficiently. The ingredient also provides good antiseptic function for targeted prevention of pimples, and reduces the formation of excessive oil in the sebaceous glands. is special Chilean oil contaning a certain amount of Resveratrol and a significant amount of Procyanidin. Comprehensive medical documentation proves that both Resveratrol and Procyanidin can delay aging and prolong the cells’ lifespan – and therefore this product keeps the skin young and healthy for a longer time. is the extract from Liquorice Root. This is well known as a wound healing extract, helping to reduce irritation within the skin and providing instant comfort to sensitive skin. It enables the skin to accept strongly reacting ingredients with less side effects, enabling more effective ingredients to be tolerated by sensitive skin. is anti-inflammatory and soothing on skin, that easily gets irritated or blushes. 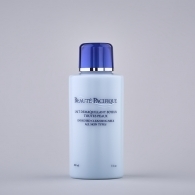 A 30-day money-back guarantee is offered on all Beautè Pacifique products to all Clients. Clients not completely satisfied may return the purchased products for a replacement or refund of the purchase price within 30 days from the purchase date. A signed and fully completed Product Return Form must accompany a product return. Return shipping fees are non-refundable. Please allow four to six weeks for processing. Promotional products and gift items may not be available for replacement, and may, at Beautè Pacifique’s discretion, be exchanged for an item of equal value. 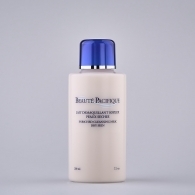 The product guarantee applies only to clients who order directly from Beautè Pacifique or an authorised Beautè Pacifique stockist.